It has come to our attention that during the past couple of months, at least one flight of asylum-seekers en route from Turkey to the United States for resettlement has been canceled. The flight had been arranged through the International Catholic Migration Commission (ICMC). 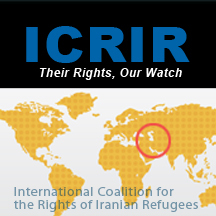 The below information was obtained from ICMC by Walton K. Martin III of the Iranian Refugees Action Network. Our staff will respond them and provide with a status update on their cases.